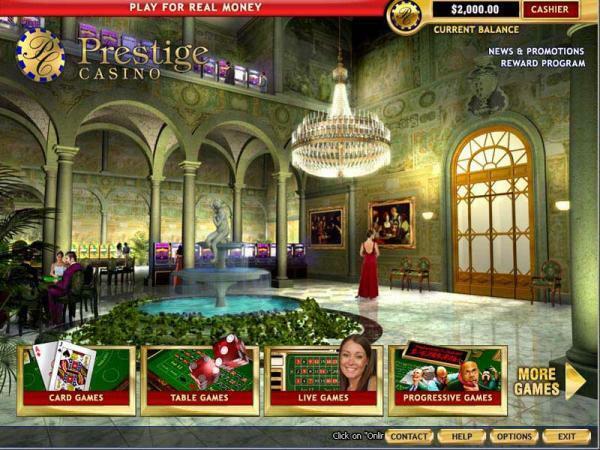 Prestige is a word that describes something of high standards and that’s exactly what this Prestige Casino is all about. It’s an online casino owned by the same owners who own 21Nova Casino, which is one of the most known gambling sites in the industry. While the name of this casino might make you think that this is a place for high-rollers only, that couldn’t be further from the truth. All players, beginners included, are welcome and Prestige have actually tailored their welcome bonus to greatly fit new players. 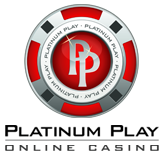 Prestige Casino is powered by industry leading PlayTech software, which allows them to offer great quality games that are easy to play and provide a great user experience at the same time. Instant Play Version – play more than 200 casino games with no download required and directly from your browser. This version runs with help of adobe flash player and is compatible with Mac, Linux, Windows or any other operating system that supports this plugin. Downloadable client – a Windows compatible version that will allow you to get started playing games with a single click on the casino launch icon. Mobile – a recent addition to the Prestige Casino. 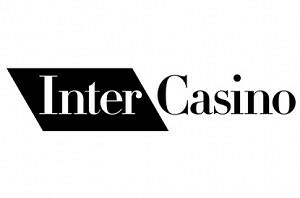 You’re now able to enjoy more than a dozen casino games directly from your mobile phone or tablet device. 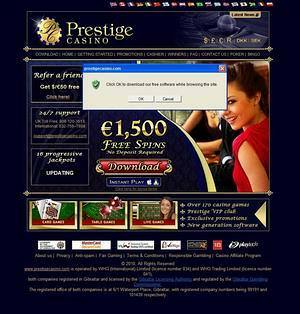 You’ll be able to enjoy more than 250 casino game, when choosing to play at Prestige Casino. Choose between slots, card & table games as well as video poker, arcade games and live games. Let’s take a look at the most notable slot machine games as well as variations offered for various table games. The Incredible Hulk – a video slot machine created after the Marvel Superhero Hulk himself. It’s a 50 pay line game that offers several bonus games, amazing graphics and 4 Marvel Progressive Jackpots. Rocky – an unique slot created after the big hit movie with the same title. This is a 20 pay line slot machine that offers an unique bonus game where rocky fights Ivan Drago and you get cash credits for every round he wins and more! Gladiator – an ancient Roman warrior themed slot game with a large progressive jackpot and slick graphics. Action over 25 pay-lines and up to 25 free spins up for grabs! A Night Out Slot – a game themed after parties, drinking and of course, girls. This is a 20 pay line slot game with unique free spins feature, in which you’ll have to ask one of the ladies for a dance. Desert Treasure – a slot game themed after what the title says, desert that is. Symbols including camels, sand and cobra as the wild one. It features a scatter symbol as well as bonus one, which will award hundreds of extra credits. Along with slots, you’ll also find a wide variety of table games including, but not limited to blackjack, roulette, baccarat and more. Roulette – French, American, European, Pro Series, Gold Series, MultiWheel & Live. All new players who join Prestige Casino can claim a fantastic free play offer of $1,500 in free cash for 1 hour. You’ll be able to keep any winnings up to a maximum of £200. This bonus is a subject to rollover requirements and any winnings will have to be wagered for 50 times their amount before a withdrawal can be submitted & processed. You’ll also have to deposit a minimum of $35 to request any winnings from this offer as a withdrawal. Join Prestige Casino now and play with $1,500 free while keeping your winnings!